Remember Laura D'Andrea Tyson? A Republican Congress and Monica Lewinsky rescued us from her leftist economics when she was Chair of the under Bill Clinton's Council of Economic Advisers. As far as we know she and Hillary were the only women in the White House that Clinton did not have an affair with. 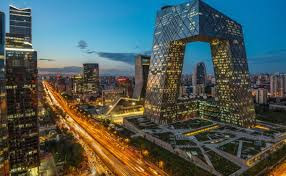 Building on its 13th Five Year Plan (in May 2016), the authorities established objectives for China to become an “innovative nation” by 2020, an “international innovation leader” by 2030, and a “world powerhouse of scientific and technological innovation” by 2050. It also committed to increasing its expenditure on research and development to 2.5% of GDP and almost doubling the number of patents filed per 10,000 people by 2020. Tyson should know better than to place so much faith in central planning. After all, the defunct Soviet Union enjoyed similar five-year plans for much longer. If this is China’s 13th plan, they began in 1953 and their economy didn’t take off until the 1980s. What happened to the previous five-year plans? And the launch of China’s miraculous economic development, which Tyson captures well, happened out of desperation, not because of a five-year plan. Forty years ago, farmers in a remote village risked their lives to save their families from starvation by dividing their communal land into privately farmed plots. They knew that if someone exposed their plan the Communist government would execute them, so they pledged that those who were survived would take care of the families of those executed. To their horror, they succeeded beyond their own dreams. Harvests were so abundant that they couldn’t keep their secret. Eventually Deng Xiao Peng found out, but instead of executing them as Mao would have done, he encouraged them because most of China was starving at the time. Liberty in farming spread to liberty in commerce and China’s economy took off. Embarrassed by the success, the Chinese Communist Party with the aid of the US media has taken credit for China’s rapid development. Gullible economists like Ms. Tyson are only too happy to promote the propaganda. Every American should applaud China’s economic miracle because nations do not compete economically; only businesses in the same industry compete with each other. A richer China benefits the US. Until recently China has boosted the US standard of living by suppling us with high quality and inexpensive consumer goods, especially clothing and electronics while becoming wealthy enough to buy our agricultural products and capital equipment such as electrical generators and airplanes. Trade always benefits both countries. If China did become the innovation leader of the future, the US would still benefit because all new technologies have benefited others more than the inventor. After all, China invented printing and gunpowder while an Englishman came up with the steam engine, but the West and especially the US, has benefited the most from foreign inventions because we used them more effectively. But American industry is not as dynamic as it once was. Between 1997 and 2012, two-thirds of America’s industries experienced an increase in market concentration, and a record 74% of employees are working at these aging (16 years or older) incumbents. US corporations have manipulated regulations to kill off upstarts and create oligopolies in most industries. They would like to have monopolies, but that would bring down on their heads the wrath of anti-trust laws. Oligopolies are almost as good at increasing profits and getting rid of the monkey on their backs – competition that forces them to innovate. Whether or not China becomes an innovation leader, much of the innovation in the US will cater to Chinese tastes as they become wealthier and dominate consumer markets. But I’m afraid China will not become the leader they aspire to be. One reason is that the Communist party has begun to believe that it was responsible for China’s economic miracle and their record with their five-year plans has proven they don’t understand how to grow an economy. But the main reason China struggles to innovate is a lack of individualism. Helmut Schoeck points out in Envy: A Theory of Social Behavior that envy is the enemy of innovation because it suppresses the individualism necessary to achieve new ideas and allow the inventor to stand out. The US continues to dominate the world in measures of that kind of individualism. Chinese culture has changed in the generation that ushered in the economic miracle, but it still has a long journey to catch up to the US unless the US destroys its individualist culture.